It's easy to turn your snapshots into personalized cards, letters, school reports, party invitations, and lots of other fun things with the new Snapshot Photo Scanner. 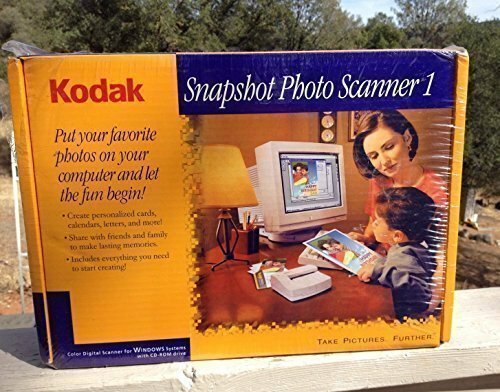 Everything you need is in the box, including software and cables, to give you the quality of Kodak's digital pictures with your existing camera and PC. You'll be able to share with your friends everything from a personalized calendar to a photo E-mail. So get out your pictures or shoot some new ones. Your personal story is waiting. Feed any snapshot-sized photo or other printed material into the scanner and watch it pop up on your screen. Share your photos online or drop them into desktop publishing applications.